Southern Minnesota Initiative Foundation gave a $40,000 grant to Grow North MN, a social enterprise offshoot of Minnesota Cup, the state's largest business competition. 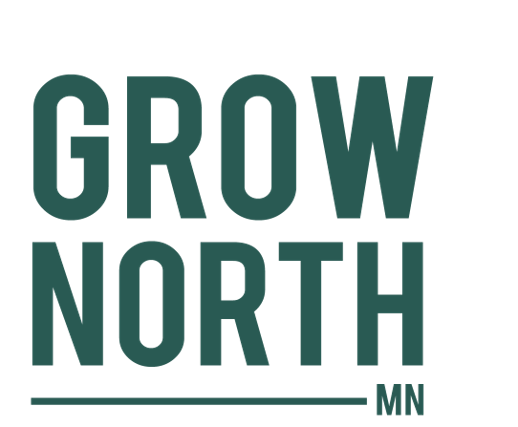 The goal of Grow North MN is to support food and beverage entrepreneurs across the state. SMIF's grant will be used for the Resource Navigation Tool, a one-stop-shop for food entrepreneurs to find relevant resources in their area from financing to technical assistance. 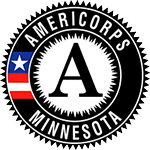 Learn more about Grow North in this blog post from Minnesota Monthly, and be sure to fill out the form if you're a service provider to be listed in the Resource Navigator. You've got the perfect frozen pizza. The ideal healthy protein bar. Or maybe your artisanal shrub business has stalled out. Minnesota has a lot of food energy going on: we are the home of General Mills, SuperValu, Cameron's Coffee, and Angie's Boomchickapop. Talenti Gelato started here, succeeded, and found a buyer. We have had some successes, but many of our food companies haven't popped as big Minnesota successes: there's an opportunity for a handful of companies to grow. Enter Grow North MN. The goal is to support food and ag entrepreneurs and help them grow their businesses faster. Grow North is privately funded, but it lives in the Holmes Center for Entrepreneurship at the University of Minnesota, it emerged from the Minnesota Cup entrepreneurship competition. "There are all these incredible things happening in Minnesota, but it's mostly word of mouth. It's a word-of-mouth community, and not as connected as it should be," said Grow North MN Director and General Manager (and my friend) Lauren Mehler Pradhan. To change that, they've created a Resource Navigator, which just went live. There are more than 100 organizations in it. So instead of just saying go to the state Department of Ag website, Grow North is asking the Department to put every program they support in the tool. Same with Department of Employment and Economic Development. Try going to the DEED website and figure out what programs would be good for a food business or farming business. Good luck. So if you want to know about an organic conference in Minnesota: It happened last weekend in St. Cloud. Scholarships for food entrepreneurs to go to trade shows? Yep, called the New Markets Program. "I have found there are so many amazing programs out there, we just need more people to know about them," said Mehler Pradhan. "We want to take away all the friction so entrepreneurs can focus on running and growing their businesses," she said. It's about finding resources, connecting the community, and bridging the big and small. "We can all help each other. Big companies are inspired by entrepreneurs, they like the energy," she said, "and small companies need expertise and help." So why should anyone care about this if you're not a food company? The idea is that if Minnesota gets a rep as a hotbed for food companies, it will help attract more money to invest here, and attract more companies to headquarter here. "Minnesota can take its rightful place as a hub for food and ag innovation," she explained. "There hasn't been a way to pull this narrative together to say we have the big and the small, and this passionate community. If you're thinking about growing your food and ag business in Minnesota, you should stay here. If you're thinking of starting a food and ag business, you should come here." So if you're thinking of starting a food company, or if you've already started one, you should talk to Lauren. "We want to make it easier to grow your business," she said.